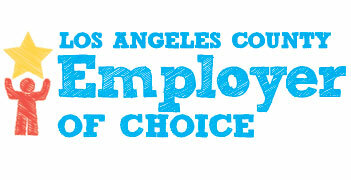 Find out why LA County is your Employer of Choice. For the 3rd time in 4 years, LA County was named on the Forbes America’s Best Employers list! To celebrate this accomplishment, we are going to list our top 100 reasons why LA County is the best place to work and play. So stay tuned as we send out new reasons every week! Supervisor Sheila Kuehl served 14 years in CA legislation and currently supports @CountyofLA as Chair of the Board. She has a passion for social justice and is a champion of civil rights for women, children, and LGBTQ individuals. A true #PoliticalAnimal! Supervisor Solis’s work in the 1st District is changing our communities for the better! For example, since Nov 2016, Supervisor Solis has passed 25 motions to defend, protect, & fight for all of our immigrant communities. Learn more about her impact at http://hildasolis.org! Representing the 2nd District, Supervisor Mark Ridley-Thomas continuously pushes for social change, particularly in the areas of homelessness, workforce development, health care, and public safety. Learn about his impressive history of public service at http://www.markridley-thomas.com. Elected to the Fourth District in 2016, Supervisor Janice Hahn has established herself as an engaged leader with a passion for supporting the most vulnerable members of our community. To read about how Supervisor Hahn is improving our community, visit http://hahn.lacounty.gov. Born and raised in the 5th District, Supervisor Kathryn Barger is a leader that is fully connected with the community she serves. To learn about how she is improving the lives of the most vulnerable members of our community, visit http://kathrynbarger.lacounty.gov. From the Countywide Fitness Challenge to Wellness Webinars, our workplace programs help our employees stay fit and live healthy. 401(k), Deferred Compensation and Savings Plans along with generous retirement benefits lay the groundwork for a diverse financial portfolio. Our continuing education, leadership training, and e-learning programs help staff extend their skills and build their career. Our flexible benefit plans include a wide selection of individual and family health plans that provide a full range of health coverage. 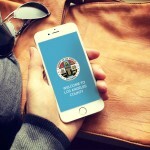 Los Angeles County offers the best job opportunities in California! The County is committed to preserving the dignity and professionalism of the workplace as well as protecting the rights of each employee. 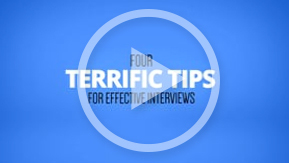 4/40 workweeks – where appropriate – along with other flexible work arrangements, help build a healthy work-life balance. With more than 36 diverse departments and over 2,300 different job descriptions, the County offers a lifetime of opportunities and careers.